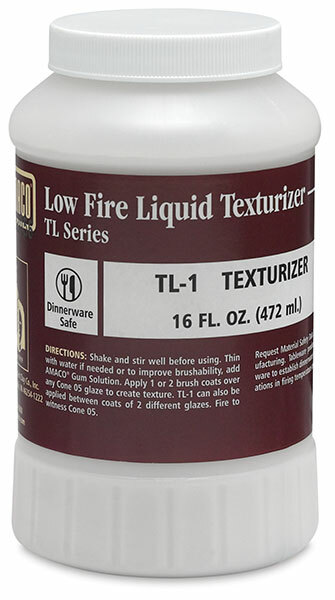 Amaco Texturizers are lead-free texturizers that were developed to help artists expand their color and texture palettes by modifying their existing glazes. Many special effects can be created by applying a coat of texturizer over or between glaze coats. Amaco recommends testing Amaco Texturizers first on a test tile or sample. Pieces should always be fired to the recommended temperature of the glaze being used. 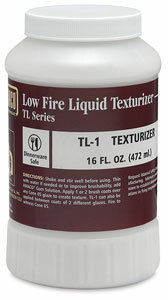 TL-1 Low Fire Texturizer — This texturizer is recommended for use with low fire, cone 05 glazes.